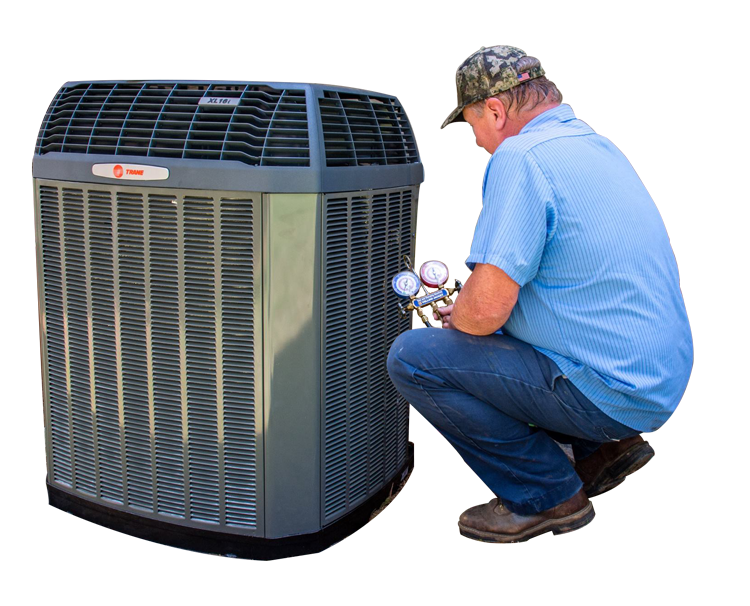 AirPro Heating and Air Conditioning has been providing scheduled services and repair of heating and air conditioning systems since its inception. Over 30 years of providing expert advice to its valued customers regarding heating, cooling and ventilation within the home. AirPro HVAC has seen the technology grow and improve over the years, and they have been there to help their customers grow with the changes of brands, manufacturers and digital technology. The most important advice provided is the focus you provide on scheduled maintenance as these system tune-ups can save you money (e.g. catching possible AC repair problems before they happen), time, comfort and prevent potential health problems (i.e. air flow, ventilation, and clean air). Heating, Ventilation and Air Conditioning (HVAC) tune-ups/check-ups from AirPro Heating and Air helps keep your cooling and heating system running efficiently as trained technicians work through a preventive maintenance checklist to enhance performance, reduce cost of a poorly running system, prevent a potential AC repair issue, and visually spot and repair minor items before it becomes a major repair cost. Scheduling routine HVAC maintenance servicing improves a heating and cooling systems energy efficiency while ensuring the system will be visually inspected for normal wear and tear which could prevent a system failure during the worst weather conditions. It is better to be safe than wishing you had spent a little extra time and investment dollars to ensure comfort inside the home. At AirPro, our trained HVAC professionals maintain many of the major types and brands of heating and cooling systems for residential homes and commercial businesses. Here is a short maintenance list of what we call our whole-house heating and cooling units. If you need maintenance or repair work completed on a different type of heating or cooling system, please complete our contact form, and we will follow-up with you. Our knowledge base is expansive based on the number of years we have been providing superior HVAC service and repair in the Portland, Oregon area, so AirPro has probably worked on it or has just omitted listing the maintenance service. If you have a heating, ventilation or cooling question, contact us as we are ready to listen, share our expertise and serve if you need support. Does your system sound like it is acting up with unusual creaking noises, is it blowing hot air in the summer time or cold air in the winter time, is your energy bill increasing or has your heating or cooling unit just quit running? If any or a few of these signs of operation are happening, you may require a repair visit from a trained HVAC professional. AirPro Heating and Air has been providing repair calls for over 30 years to customers. If you feel like you are experiencing poor performance from your existing heating or cooling unit, call (503) 771-7871 or complete the form and a trained office staff member or technician will call to discuss your heating or cooling situation. It could be a simple fix or one which would require a home visit. Either way, AirPro Heating and Cooling cares about your HVAC repair concerns as we want you enjoying the comfort of your home with the right ventilation, heat or cooling temperatures.